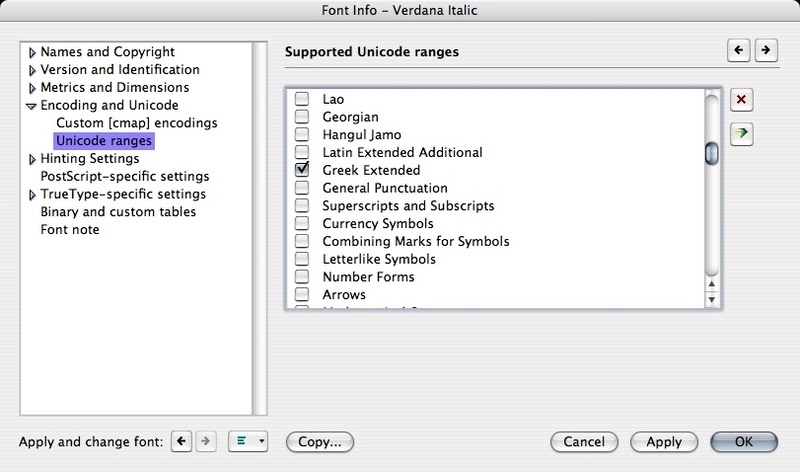 You will need FontLab Studio v5 or higher (MacOS X or Windows). Open the script make-accents0.py in the Macro window of FontLab (Window>Panels>Edit Macro). red: temporary glyphs which will be removed once we are finished preparing the font. The diacritics must be drawn at the height appropriate for lowercase letters. If they are higher than those used in front of uppercase letters they will be lowered in their stand-alone spacing slots, as well in the combining slots, as when combined with them in precomposed character slots. See below for advices on drawing the numerals and archaic letters. 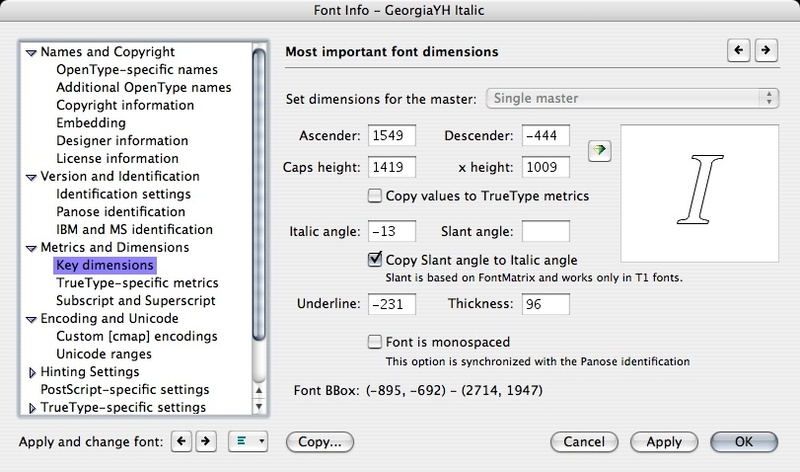 Be sure the values of font italic angle and underline thickness are correct in the dialog obtained by File>Font Info>Key dimensions. Open the script make-accents1.py in the Macro window of FontLab (Window>Panels>Edit Macro). Now fetch the following file: GreekDiaUvo.TXT and place it into /Library/Application Support/FontLab/Studio 5/Kerning (the path to this directory may be different: see your FontLab documentation about "Application default data/Kerning folder"). Normally that folder already contains files called K1.TXT, K2.TXT and K3.TXT. 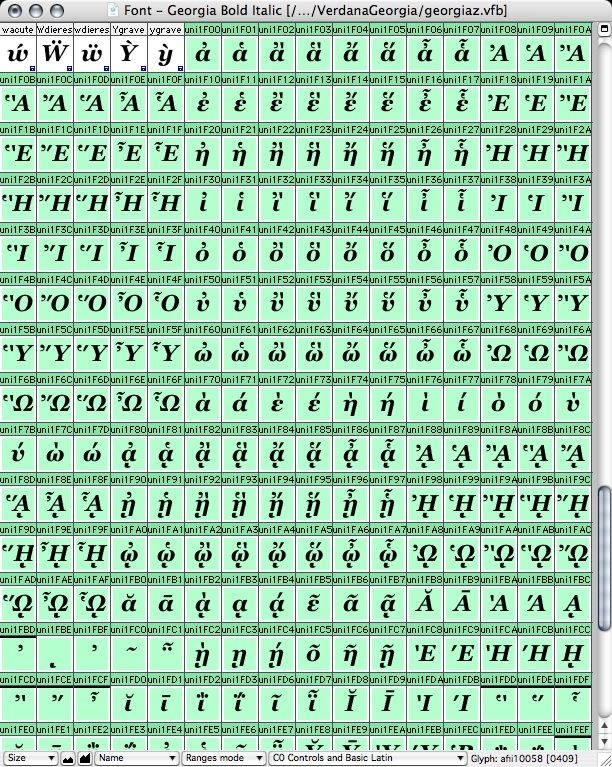 If you don't see the entry "Diacritics and Uppercase Vowels" in the Pairs list pop-up menu then the file GreekDiaUvo.TXT has not been copied in the adequate directory. Find that directory, place the file into it and open the window again. Choose that entry. Very important: Check the box Allow for positive kerning. Set the pop-up meny "How much white space..." to the value Many. If you are satisfied with the distances (those on the figures above are quite good PLEASE DO NOT PLACE THE DIACRITICS TOO CLOSE TO LETTERS! 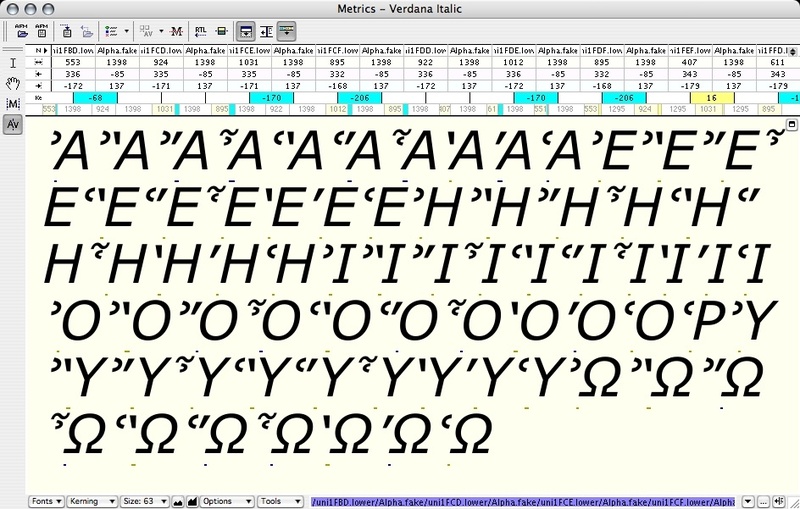 ), then calculate kerning pairs again with some other value. 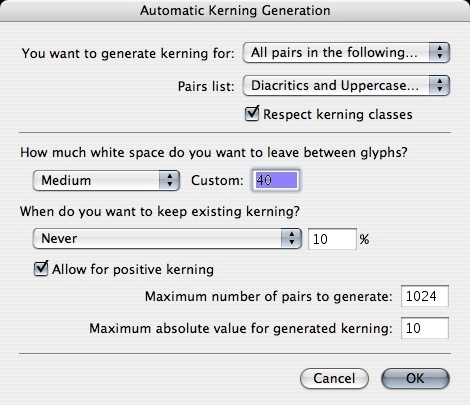 Otherwise you can restart the auto-kerning procedure by choosing a different parameter, or you can change the kerning pairs manually on this window. Save the font! 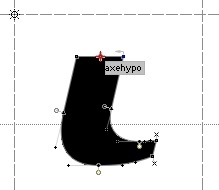 Calculate the value of axehypo again, since the previous script may have changed the sidebearings of that glyph. Open the script make-accents2.py in the Macro window of FontLab (Window>Panels>Edit Macro). Open Windows>Panels>Classes, a window will appear, click on the first button on the left of its top bar and choose Open Classes.... Choose the file you have just fetched. Open Windows>Panels>OpenType, a window will appear, click on the first button on the left of its top bar and choose Open Features.... Choose the file you have just fetched. 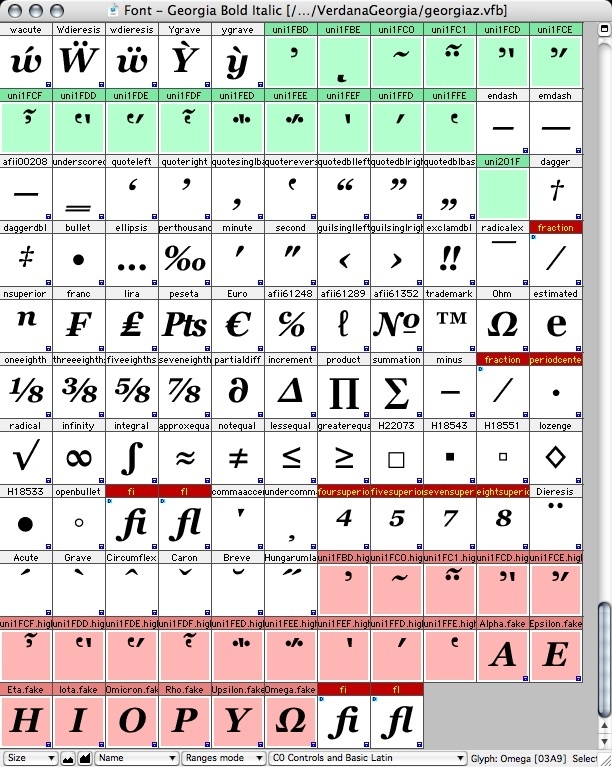 This will add features init (for uppercase vowels with breathings at paragraph or verse begin), and ccmp (to obtain precomposed glyphs out of Unicode combining character sequences). Delete the temporary glyphs (marked in red) we have created on step 3. Your font is ready! Use it and don't forget: never write Greek without accents and breathings!! 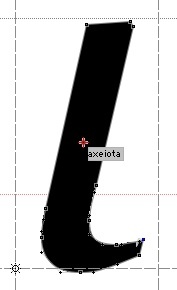 Ligature ϗ (coming from word καὶ = and) [a character which should not be in Unicode in the first place, not to mention the fact that it normally takes a grave or acute accent depending whether it is followed by punctuation or not] can be obtained from a kappa combined with the left stroke of the lambda, placed at the depth of letter mu. The arhaic koppas Ϙϙ are obtained by upper- and lowercase omicron combined with the tail of letter mu. Uppercase stigma Ϛ can be obtained by taking the lower part of capital Beta, turned around 180 degrees, raised and combined with the lower part of capital Iota. Lowercase stigma ϛ can be obtained from a final sigma ς by ending the upper curve by a straight segment (eventually a little larger at then end). Uppercase digamma Ϝ is exactly Latin letter F.
Lowercase digamma ϝ can be obtained by combining the vertical stroke of mu and the horizontal stroke of pi. The lower horizontal bar of the digamma can be at the same distance from the upper part as in the case of capital F.
Upper- and lowercase numeral koppas Ϟϟ and sampis Ϡϡ can be obtained by the following skeletons: you just need to inflate them to the proper line width. 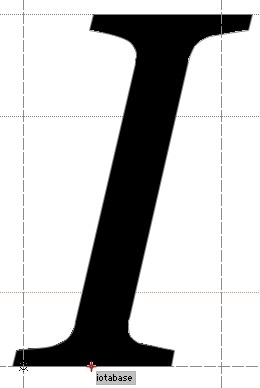 You can play around with the distance of the two parallel strokes until it looks OK. The resemblance with the euro symbol can be taken into account. 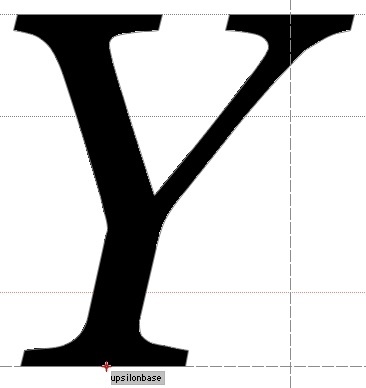 As for the koppa, just cut it at the baseline and cap-height to obtained the capital or leave it as is to obtain the lowercase version. Here is an Illustrator EPS file containing the skeletons so that you can copy them into your font creating application (I personnally use FontStudio). If you are wondering what the ideal shape of upper and lower sampi is, here are the most beautiful sampis I found in 19th century books: And here is a FontLab file containing the two glyphs above, if you want to use them in your fonts. in sans-serif fonts, upper and lowercase lunate sigmas Ϲϲ and letter yot ϳ are simply Latin Ccj. No need to do anything funny. 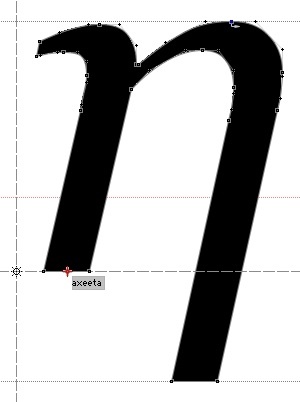 Ligature ϗ (coming from word καὶ = and) can be obtained from a kappa combined with the left stroke of the lambda, placed at the depth of letter mu. Uppercase stigma Ϛ can be obtained by taking the lower part of capital Beta, turned around 180 degrees, raised and combined with the lower part of capital Iota. Add to it the upper serif of letter F.
Lowercase stigma ϛ can be obtained from a final sigma ς by ending the upper curve by the upper part of letter pi, rotated 180°. 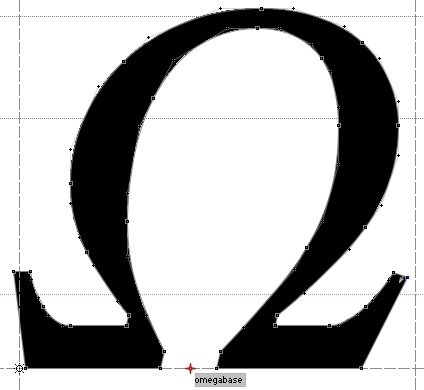 Lowercase digamma ϝ can be obtained by combining the vertical stroke of mu and the horizontal stroke of pi (not rotated this time). 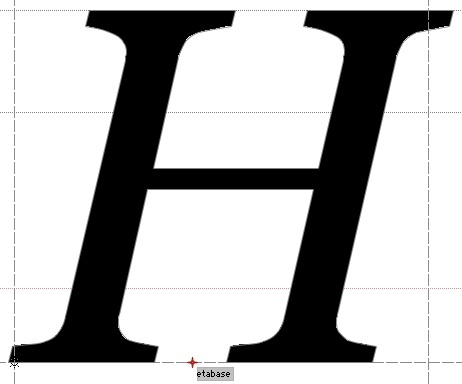 Instead of an horizontal bar I have used the upper part of letter epsilon rotated 90° placed in such a way that it touches the baseline (minus overshoot). 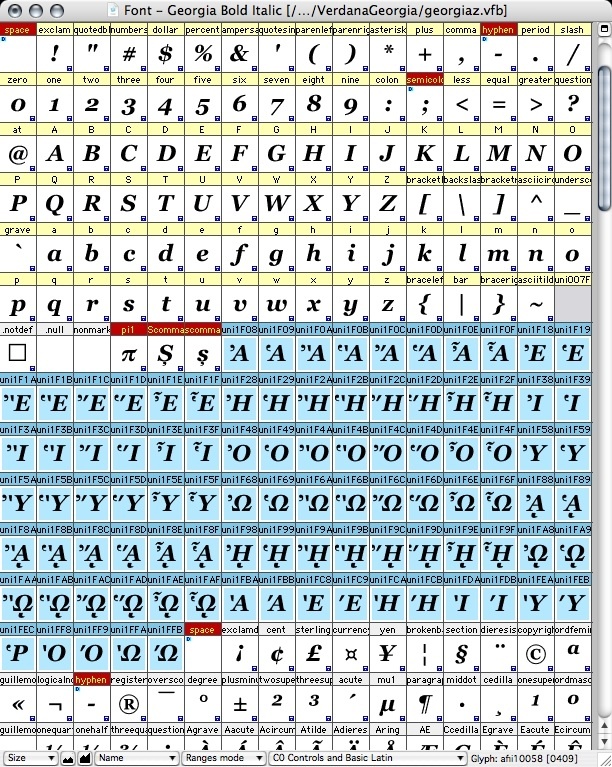 Upper- and lowercase numeral koppas Ϟϟ and lowercase sampis Ϡϡ can be obtained by the same skeletons as for sans-serif fonts. 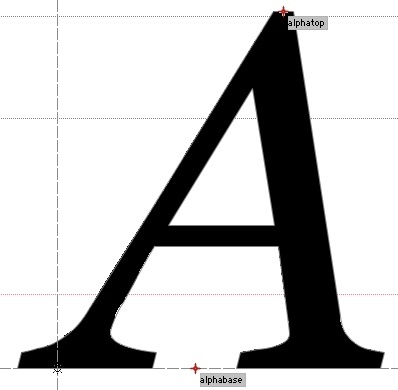 Uppercase sampi can be obtained from a capital lambda where we turn the left stroke to the right, duplicate, make the serif smaller and horizontal and find the right distance between the two parallel strokes (see the figure above). I got inspired by the Vusillus font on Nick Nicholas' page. Lowercase jot is simply a Latin j. Upper and lowercase lunate sigmas are Latin Ccj where you have to get rid of serifs, by making the upper and lower parts symetric. This is easy for straight fonts, but less easy for italic ones. You can cheat by slanting the letters and see what difference it makes with italic Cc.